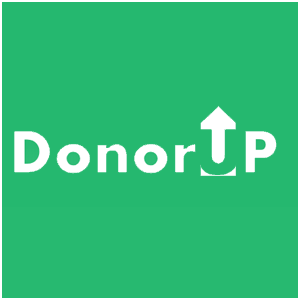 DonorUP lets you manage all your donations in one place. Of all the apps intended to help you organize your finances or grow your wealth, few are focused on charitable giving. DonorUP is as close as it comes to a combination of both, allowing you to give to all your favorite causes in one place, and set up recurring or one time payments, while displaying data about your spending/giving habits. The app asks users to select the efforts and issues with which they would like to become (financially and philanthropically) involved. It then returns a list of charities that match the user’s interests. 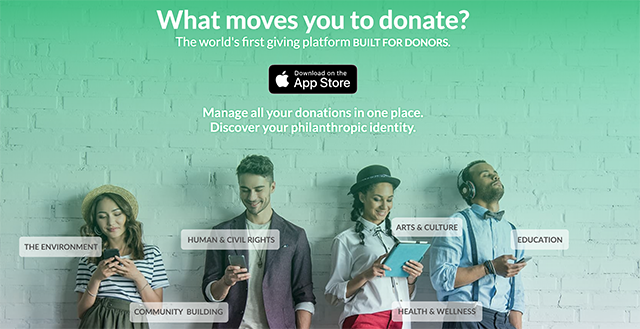 Users can then manage their donations to each of their selected charities through the app. 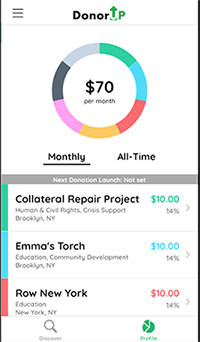 Although an app with DonorUP’s model might spark skepticism, especially if there’s a limited amount of charitable organizations listed within the app, DonorUP lets non-profits sign up for the platform for free. All donations made through the app are also tax-deductible. That’s another key perk of the app for users: it makes it easy to keep track of all your donations so that you can file them properly on your taxes at the end of the year. It also does make it easier to discover some charities that align with your philanthropic interests, especially lesser-known charities with which you might not have been as familiar. If you want to give to good causes with an app that helps you keep track of all your giving, DonorUP could be worth further investigation.